Harold D. Thomas has a good grip on politics and the times, as well as how the Constitution is supposed to work. He shares his thoughts and ideas in an educated manner. In Governing Ourselves you’ll find out what the Libertarian movement is about and why it’s needed. There’s so much controversy over the political climate today, and most people don’t understand how far America is from where it began, where it should be. The United States has strayed far from what was intended by the Founding Fathers for our people. 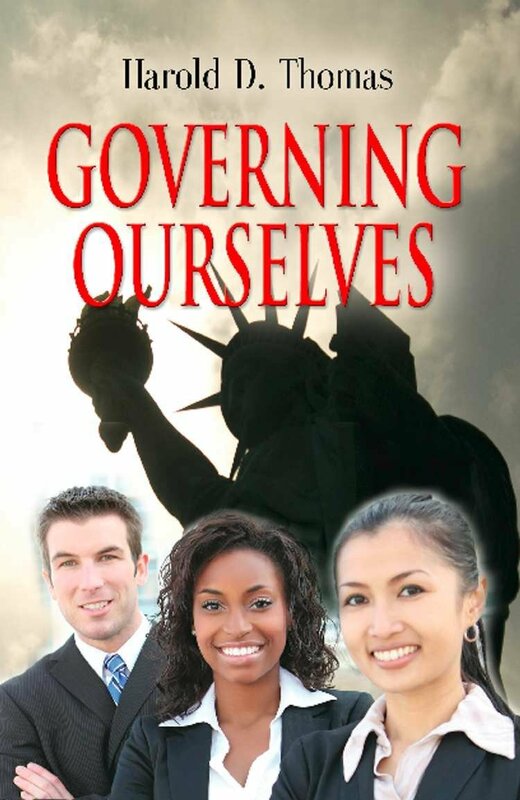 This book will open the eyes of the reader to the problems, and give them practical solutions as to how to get the government back to where it needs to be. But, at the same time, this book does not tell the reader what to think, but shares different thoughts and options. I found the book enlightening, educational, and hopeful for a secure future that could be for America if we understand what’s going on and pay more attention to politics in an open minded way. This entry was posted in 3 Quill, Adult Misc, Informational, YA Misc and tagged 3Q, Governing Ourselves, Harold D. Thomas, Libertarian, politics. Bookmark the permalink.